The straggly beard, the hooked nose, the bag of coins, and gaudy apparel—the religious artists of medieval Christendom had no shortage of virulent symbols for identifying Jews. Yet, hateful as these depictions were, the story they tell is not as simple as it first appears. Drawing on a wide range of primary sources, Lipton argues that these visual stereotypes were neither an inevitable outgrowth of Christian theology nor a simple reflection of medieval prejudices. 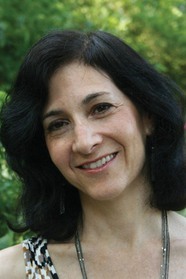 Instead, she maps out the complex relationship between medieval Christians’ religious ideas, social experience, and developing artistic practices that drove their depiction of Jews from benign, if exoticized, figures connoting ancient wisdom to increasingly vicious portrayals inspired by (and designed to provoke) fear and hostility. At the heart of this lushly illustrated and meticulously researched work are questions that have occupied scholars for ages—why did Jews becomes such powerful and poisonous symbols in medieval art? Why were Jews associated with certain objects, symbols, actions, and deficiencies? And what were the effects of such portrayals—not only in medieval society, but throughout Western history? What we find is that the image of the Jew in medieval art was not a portrait of actual neighbors or even imagined others, but a cloudy glass into which Christendom gazed to find a distorted, phantasmagoric rendering of itself. 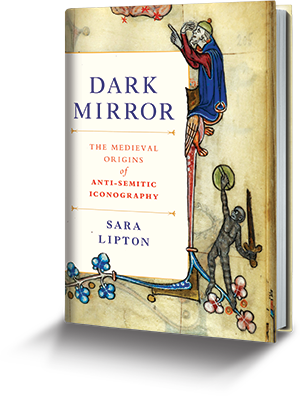 Sara Lipton is an Associate Professor of History at SUNY Stony Brook and the author of Images of Intolerance: The Representation of Jews and Judaism in the Bible moralisée, which won the Medieval Academy of America’s John Nicholas Brown prize. The recipient of fellowships from the New York Public Library’s Cullman Center and the Metropolitan Museum of Art, her writing has appeared in The New York Times, The Los Angeles Times, and The Huffington Post. To view the images from the book, please visit this website from a non-mobile device.